Another week is behind us and, as you already know, Wednesday is the day for the weekly recap from the streets of the world. 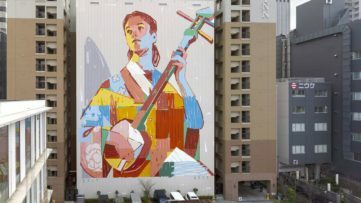 We select the murals you’ve loved the most on our FB page in the previous week and present them to you in our gallery. Although we cover almost every part of the world each week, this time we’re really taking you to three completely different places on the map. First, we’re taking you to Europe, more precisely Paris, France and then Belgrade, Serbia. In Paris, we’ll show you the latest work by the fantastic artist Hopare who has proved once again why he’s one of the most popular street artists out there. We’re slowly getting to know Serbian street art scene which is growing by day and this time thanks to the brand new mural by two wonderful artists Artez and JUNK. Then, we’re changing the continent and moving to USA where in Los Angeles, California once interesting art collaboration occurred. Artists Drew Merritt and Karen Bystedt got together and created a piece that will become very important, especially in the next month. And, in the end, we’re going to another side of the globe. 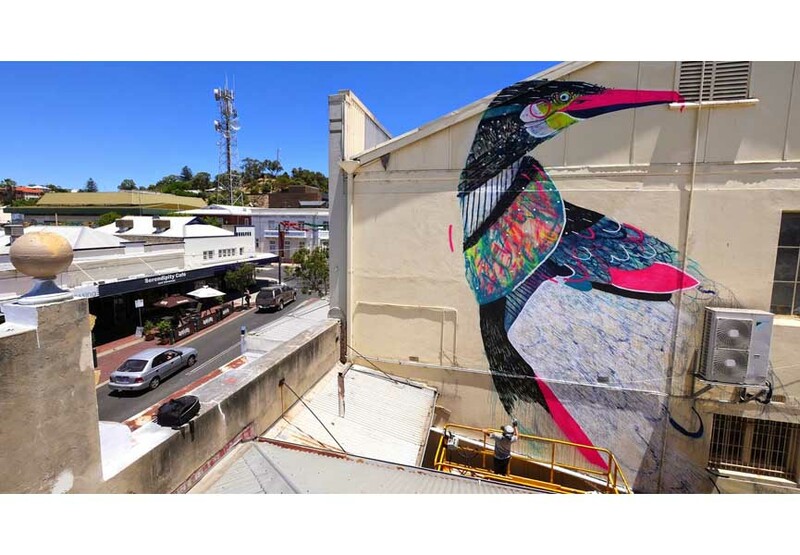 In Australia, a major street art festival entitled Re.Discover invited two fantastic artists to participate in the project. 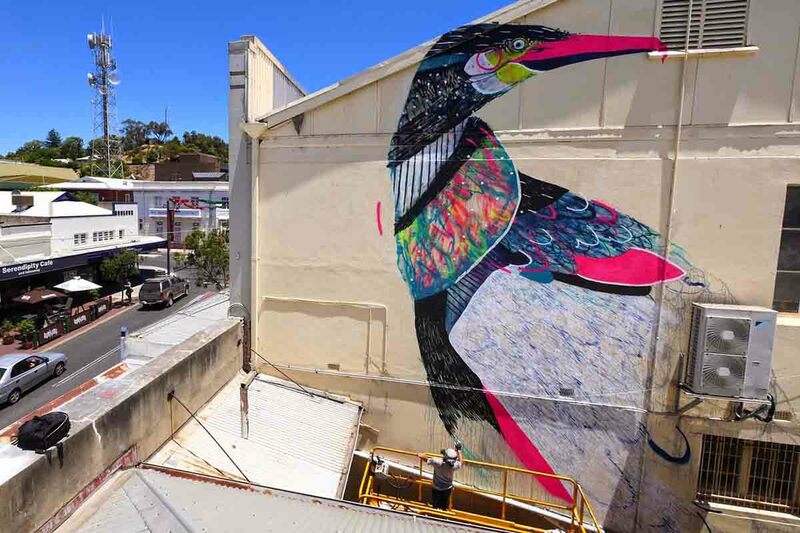 Artists Twoone and Fintan Magee, both emotionally attached to the country, tried their best to make art pieces that citizens of Bunbury, West Australia will enjoy for a long time. Check out our gallery and choose your personal favorite! 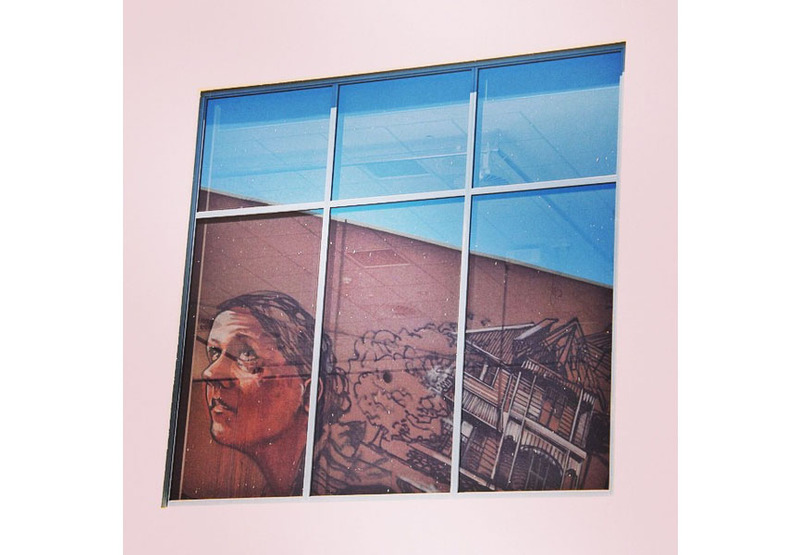 Want to see more murals? 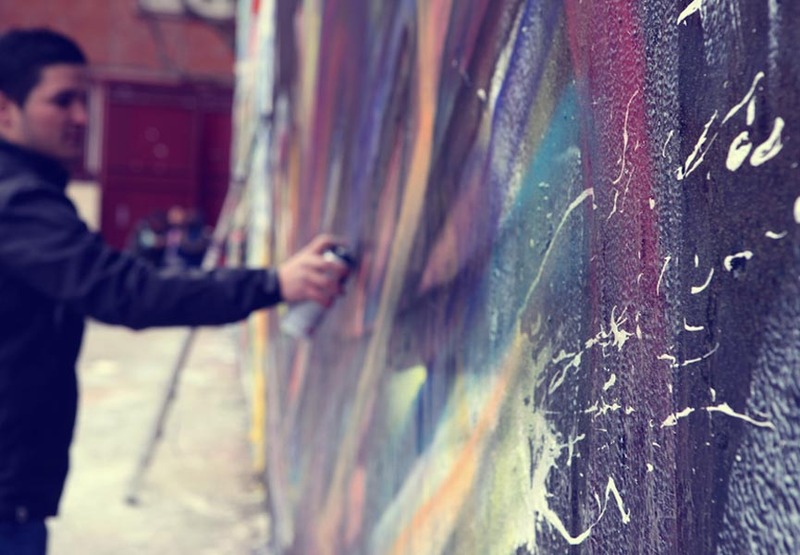 Sign up for My Widewalls today and get the chance to explore the exciting world of street art! Featured image: Twoone in Bunbury, Australia, 2015. Franco-Portuguese artist Hopare is back on the streets of Paris, France where he spent the weekend working on this fantastic piece somewhere in the city’s 11th district. 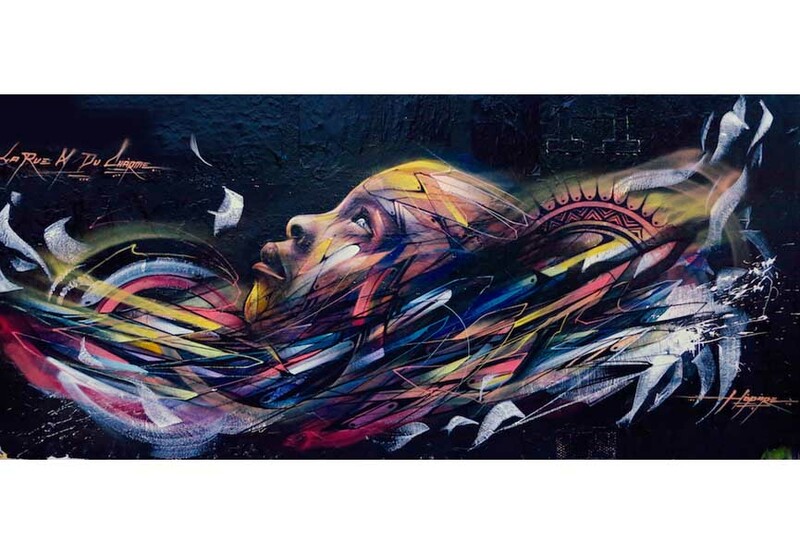 Another in the row of his beautiful portraits, the amazingly talented street artist has once again painted a mural depicting his usual abstract elements, shapes and fluid lines creating a feeling of color explosion through the piece. 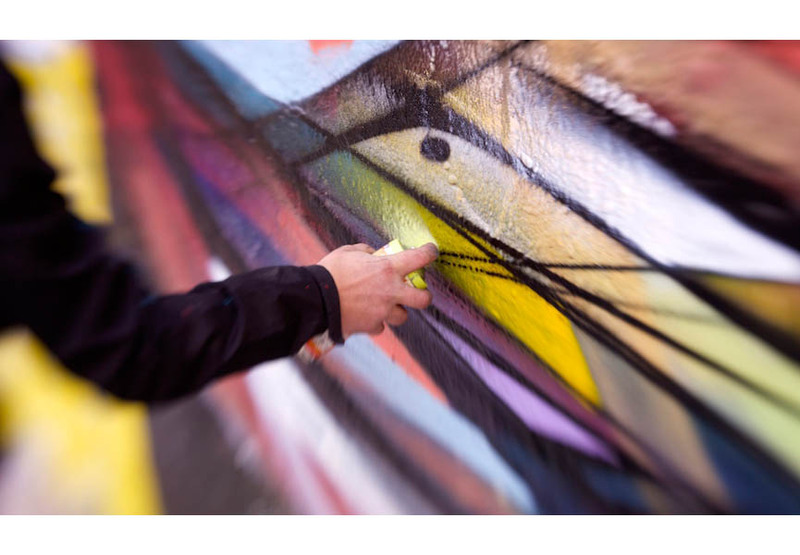 Filled with a lot of thought through elements, the artwork features very precise and detailed spray moves, making the work almost three-dimensional. Just like we’ve used to seeing from Hopare, the mural beautifully contrasts the grey environment with its fully colored and vivid theme. The modernity and speed that has become recognizable in his works are what makes Hopare one of the most exciting street artists on the scene. 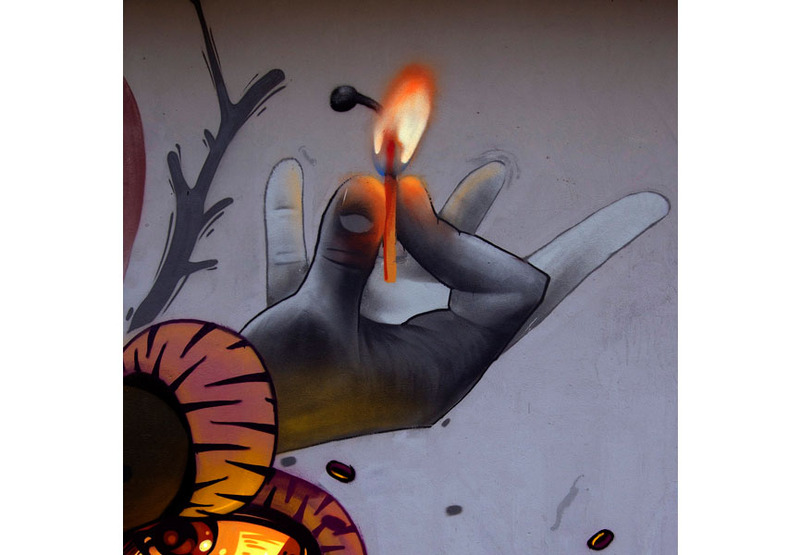 Two of probably the best artists in the Serbian street art scene right now joined forces on a mutual project last week. 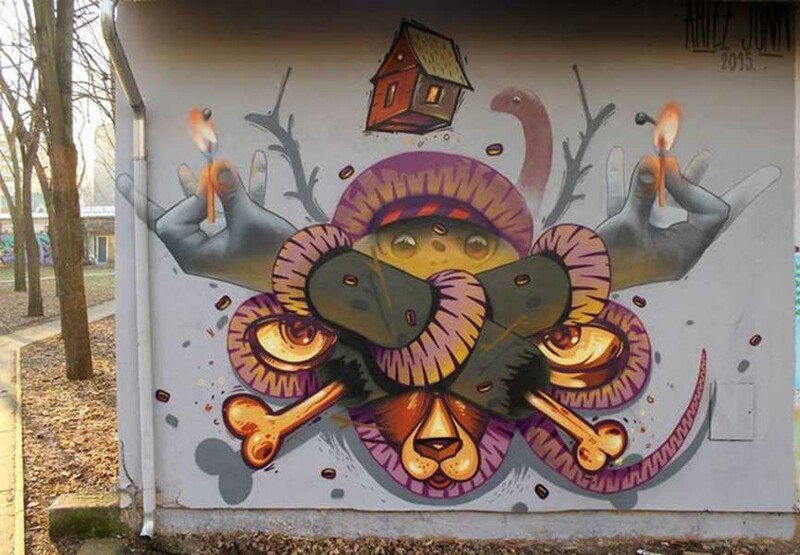 Artez and JUNK, both born in Belgrade, collaborated on this beautiful piece which complements both the artists’ skills (Artez recently also collaborated with Croatian artist Lonac in Banja Luka). 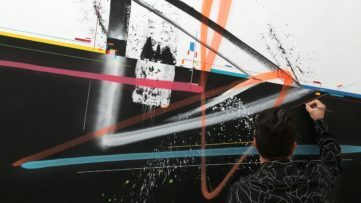 After painting walls across the globe last year, the two artists finally met in their hometown and officially started another creative year. 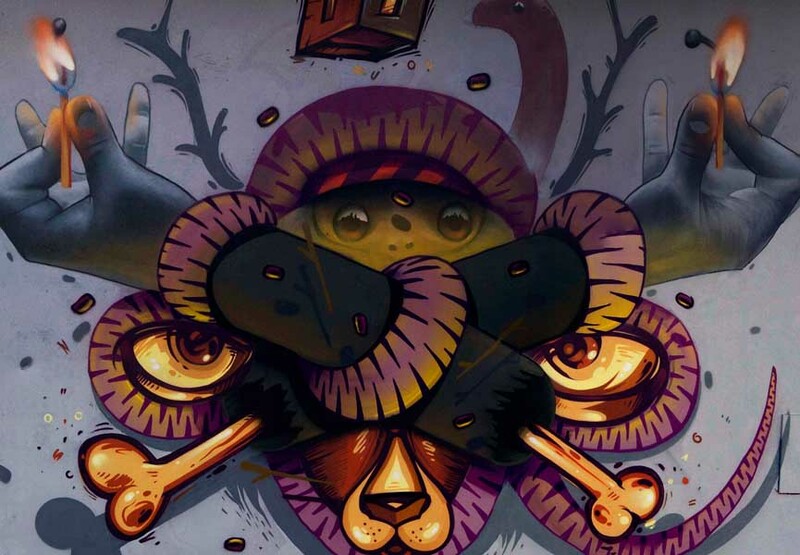 Using many different colors, Artez and JUNK play with shapes, shading and, if you didn’t know that this was a work of two quite diverse artists, you would think it was a piece made by one, very talented street artist, which only shows the true artistry and commitment to what they do. Great job! Drew Merritt, the most famous artist no one has ever heard of, and Karen Bystedt, a famous contemporary art photographer most famous for her photographs of Warhol, collaborated on an interesting project. 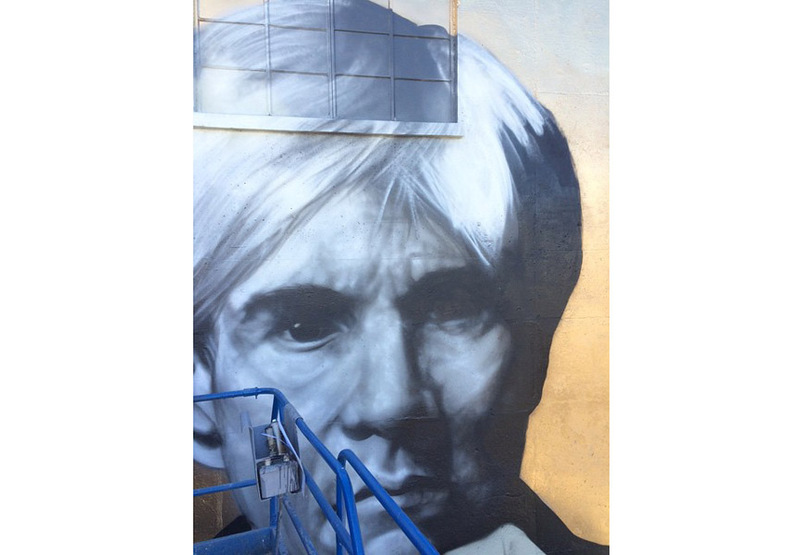 Merritt painted a mural on the Container Yard in Los Angeles, California based on one of Bystedt’s photographs of Warhol. The stunning portrait of the legendary artist is very simple at first sight, yet really powerful and striking. While the portrait itself was done in black and white (like the original photograph made in the 80s), the round background was painted in yellow tones, giving the mural another, much more spiritual meaning. 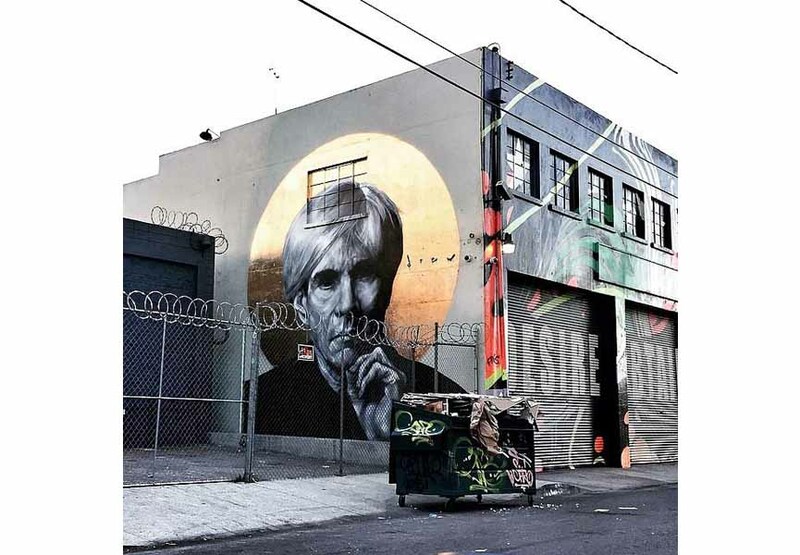 Since the anniversary of Warhol’s death is very close, this mural was made just in time for everyone to reflect once again on the ingenuity and talent of the late Mr. Warhol. 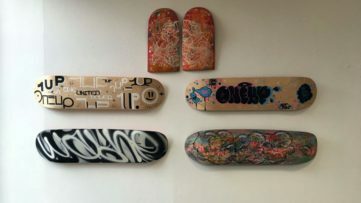 For the Japanese born and Berlin based artist Twoone, art is all about experimenting with new techniques and reinventing his style. 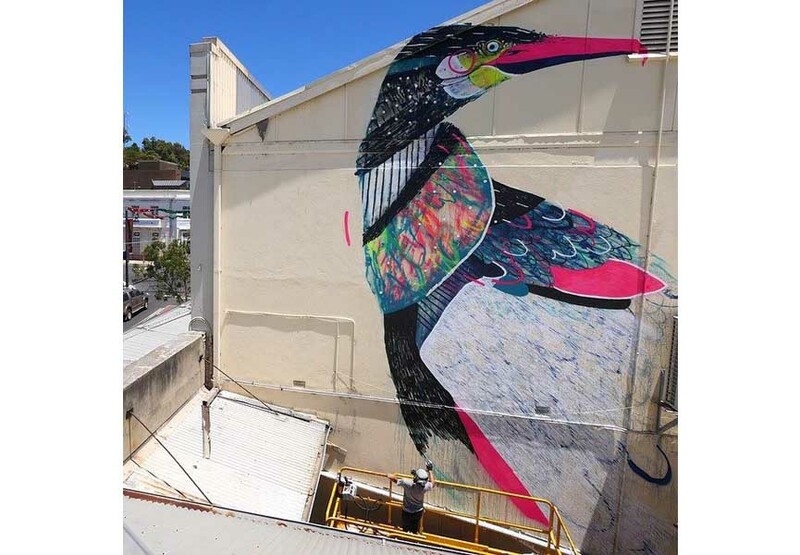 Besides the gallery work he shift onto when he lived in Australia, the amazingly talented artist famous for depicting animal headed human bodied creatures has stopped by the city of Bunburry, West Australia to paint this stunning, large scale mural. 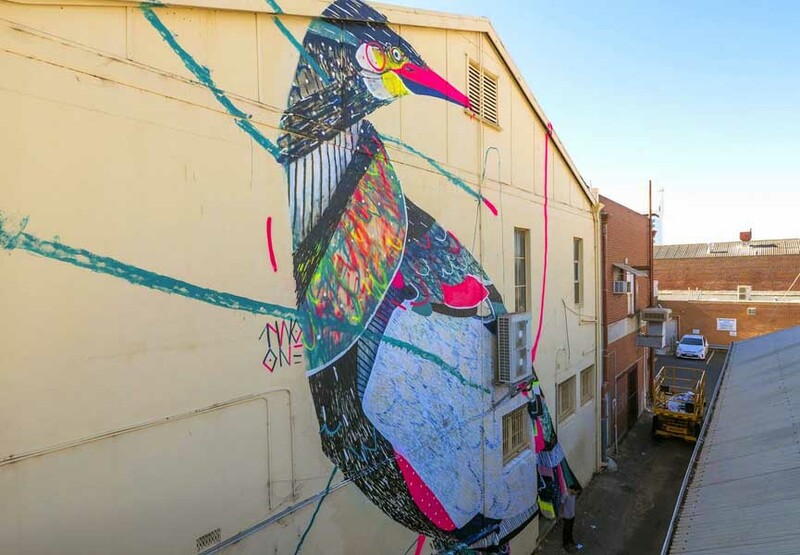 Invited by the Re.Discover Street Art Festival, Twoone worked quickly through this fantastic and colorful piece portraying one of his signature subjects, a massive bird. We’re looking forward to seeing Twoone’s future projects, whether it’s a gallery exhibition or a mural! 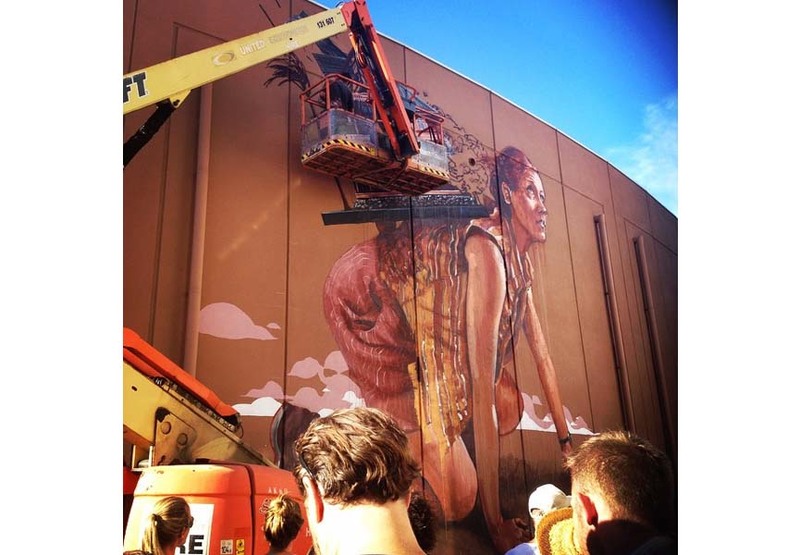 Another artist that stopped by Bunbury, Australia to participate in the latest edition of Re.Discover street art festival was Fintan Magee. The Australian born artist painted this amazing piece entitled The Storm was made over a course of few days that the artist spent up high on his cherry picker. 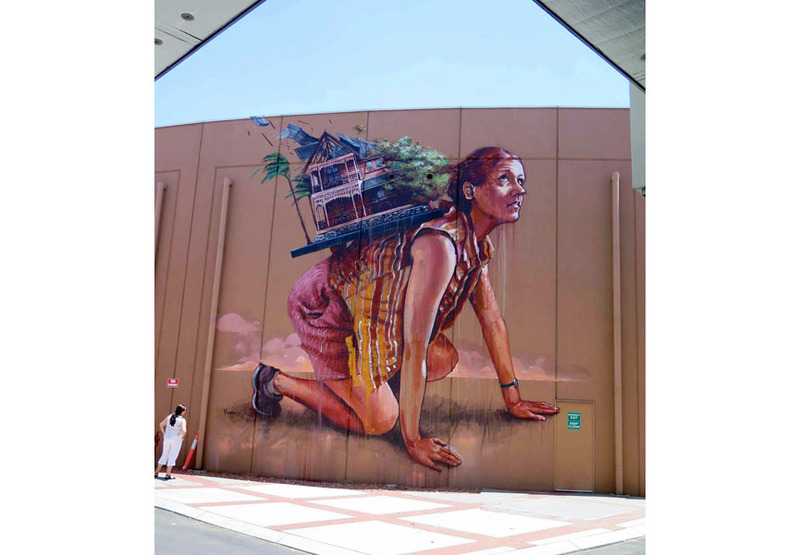 Famous for his fine art style of painting, Fintan Magee once again tackled the social and local subjects that are close to his heart. 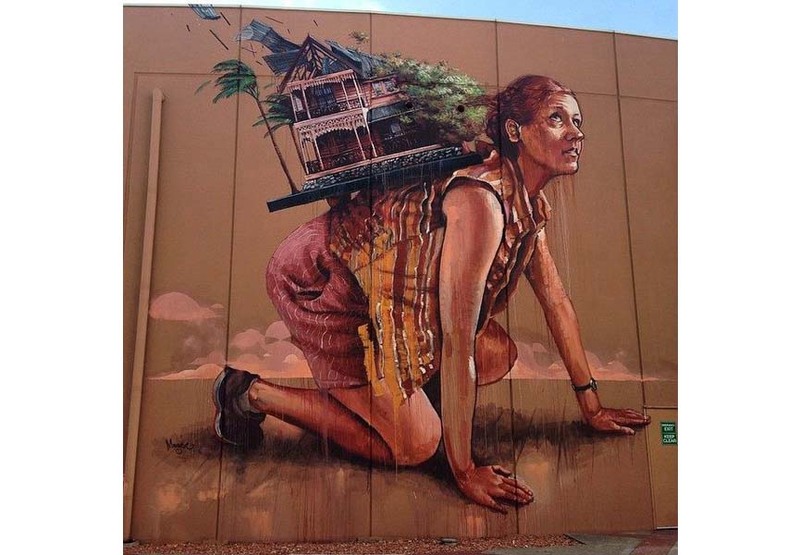 The emotional piece features a worried woman carrying a house on her back, looking towards the sky. 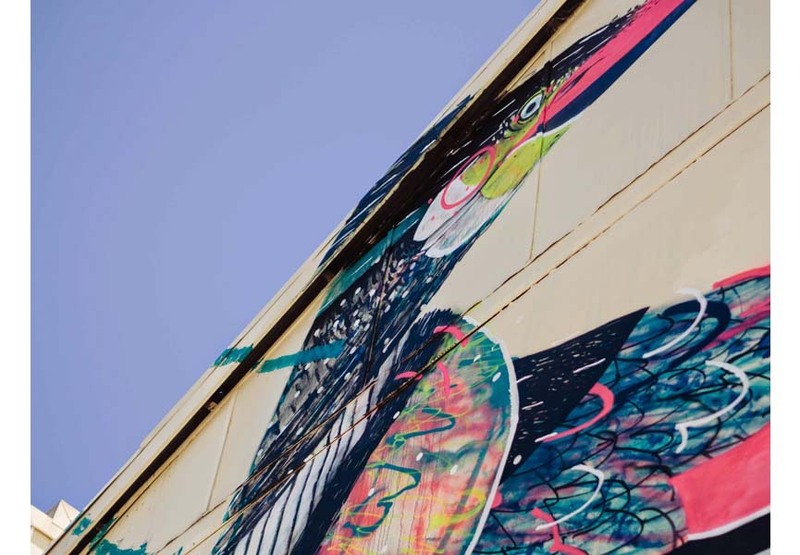 Although every art piece can be analyzed in many different ways, we will allow ourselves to understand this particular mural as a struggle that many Australian families were going through during the period of floods and weather inconveniences in general. Fantastic work, as usual!